Brighten your little girl's room with the Blooming Butterflies Quilt! 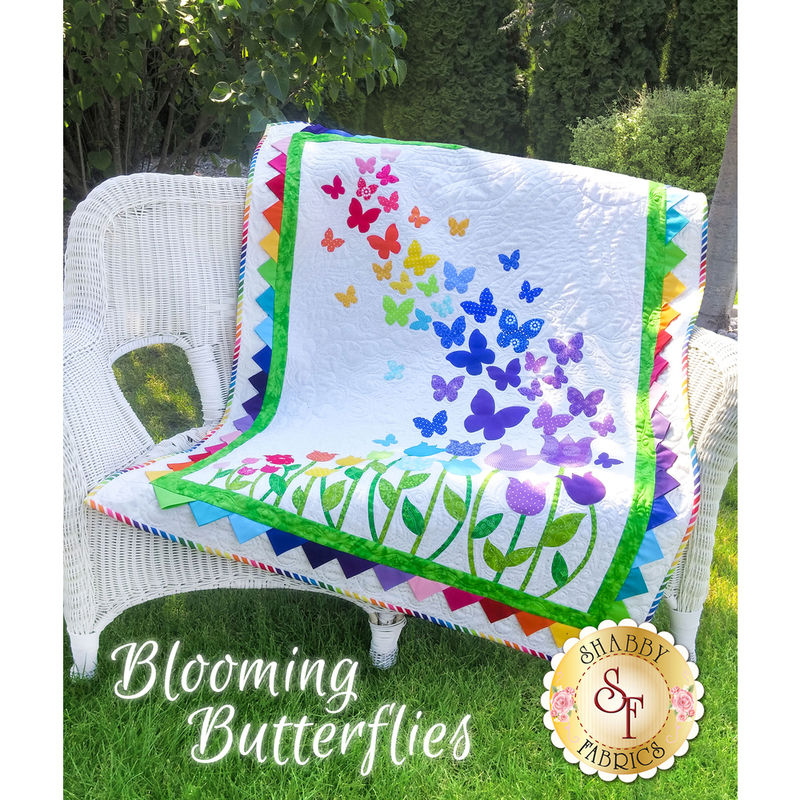 This 40½" x 51½" quilt features a beautiful array of butterflies floating on a gentle breeze over a bed of blooming tulips, finished with bright prairie points for the inner border. Pattern includes instructions and diagram to complete the quilt. Don't want to cut out all 91 shapes yourself? View the Blooming Butterflies Quilt Kit where each laser piece has been pre-cut and pre-fused for your convenience! All you have to do is peel off the paper, place the pieces on the background, iron in place and stitch around them. 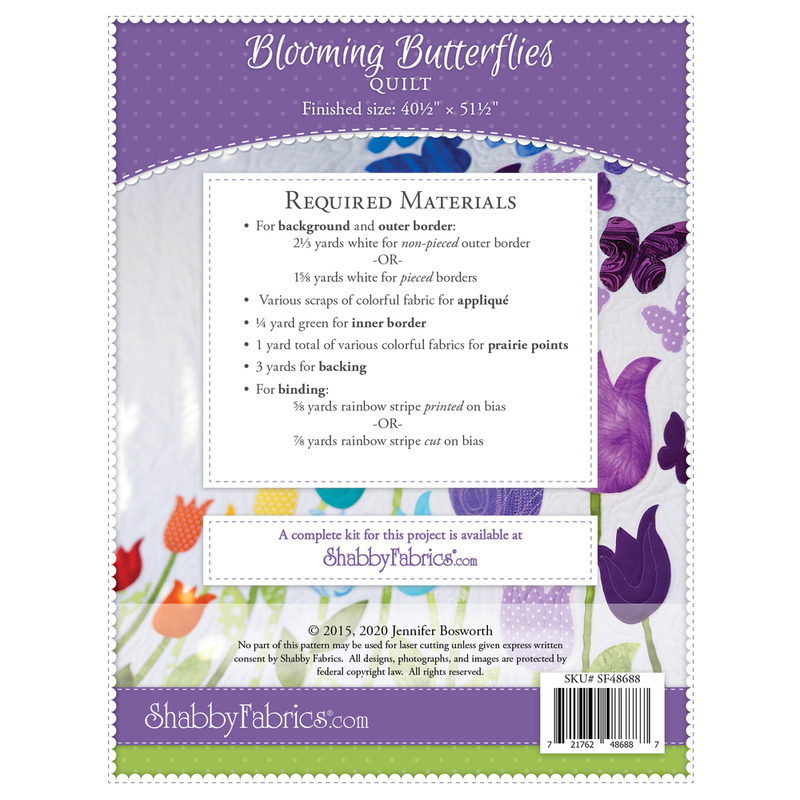 View Blooming Butterflies Quilt Kit Here!